Topics in the IO will change as my interests are piqued by life or enraptured by something or someone. The Elmwood community web site will develop but this section the Illinois Observer is a place to share thoughts and discussions. It could be described as the editorial section. It will be a forum for those things that interest me. The Illinois Observer section of elmwoodil.org will gave me a place to write about Gettysburg and display the photos I took on our visit. Erik and Alex both thought it an inappropriate topic for a community web site. It will become a place for others to share their thoughts, photos, and videos. It will not be just my blog. 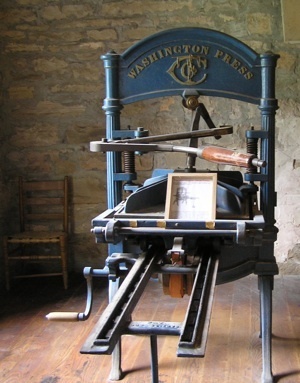 Using the name The Illinois Observer is to honor Elijah Lovejoy who was killed trying to protect his printing press from a mob in Alton Illinois on November 7, 1837. His opposition to slavery in his paper the Alton Observer had ignited an anger that led to his own death, two days short of his 35th birthday. A great book to read about Lovejoy was written by Illinois Senator Paul Simon called Freedom's Champion: Elijah Lovejoy published by Southern Illinois University ISBN-10: 0-8093-1941-1 (Paper). Paul Simon was the beloved Senator who died in 2003. Once described during his unsuccessful bid for the Democratic presidential nomination as looking more like a feed store clerk than a senator.